Last blog I wrote about how we coached and supported the management group to identify next steps in their agile transformation. One of the actions was to change the teams to become Feature teams. Teams who have all needed competences to deliver end customer value. 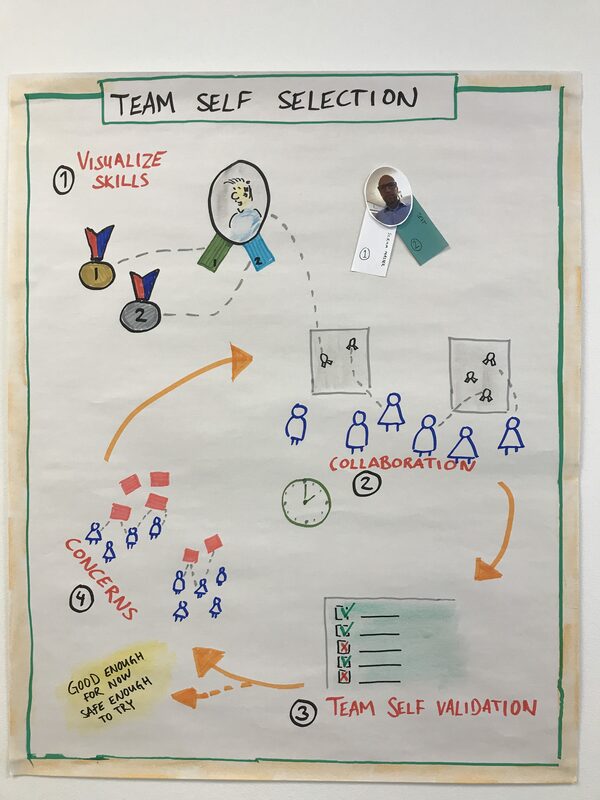 This blog I will describe how I facilitated the Feature team self selection workshop. Each step of the workshop is described in a few more words under each heading in the blogpost. I described the overall workshop process with a flip chart that you can see below to make the workshop process easy to understand for all participants. 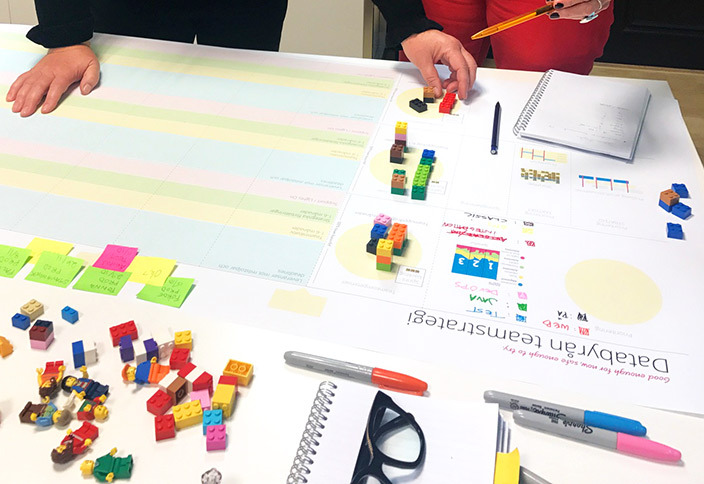 This is a story how we used a two day workshop with a management group to help them find out next steps needed in their Agile Transformation. We knew the client well and had been working with them for some time. It was now time to discuss their progress and potential next steps. They had Scrum teams up and running, each team with their own product owner. Each team covering one part of their product. Earlier they had discussed and identified their challenges and problems so they where known and a good input to the workshop.